I have been waiting for almost a week, the weather is not changing, conditions are too dangerous to attempt the last ski adventure of the year, the Chamonix- Zermatt ski tour has to be called off. 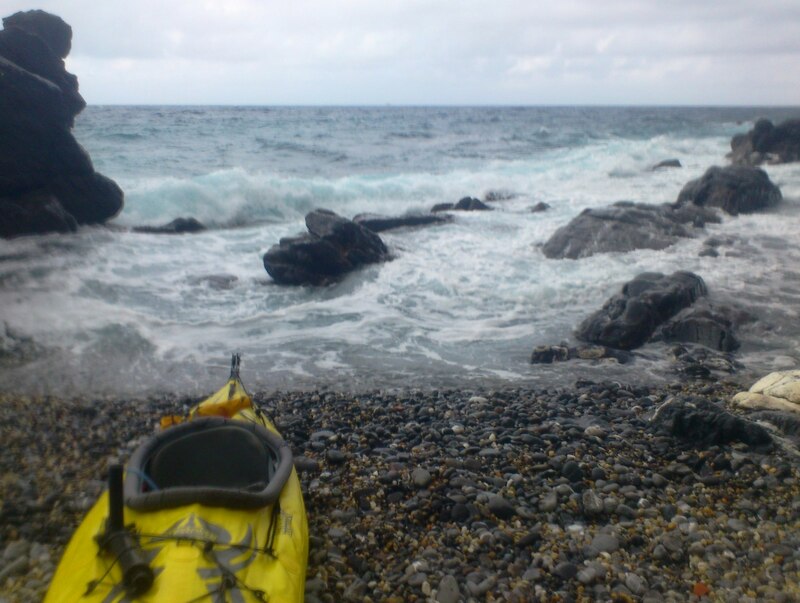 Disappointed and with a small window of good weather coming in to this crazy spring time I decided to kick start the kayaking season with a little trip to the Italian Ligurian coast. 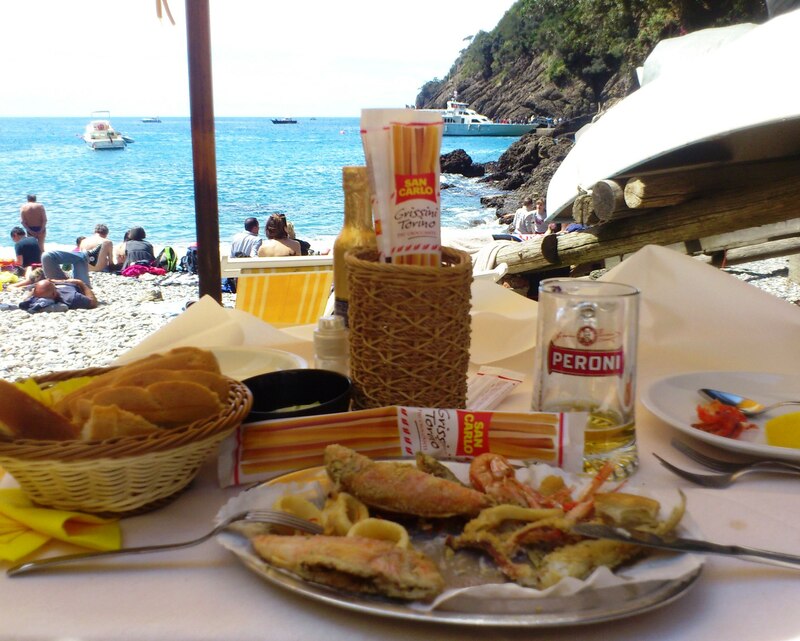 Apart from been one of the best sea kayaking destinations on the Mediterranean, with a wonderful blend of culture, history, landscape and cuisine, the Ligurian cost is the closest coast from Chamonix. Having the Italian border at just a half hour drive through the Mont Blanc tunnel, and then a 5 hour train ride the city port of Genoa is on reach. With little time for planning I will rely entirely on my Google maps app for navigation, 5 days to go and some mixed weather forcast, my basic plan of action will be to head south from Genoa, “expedition style” hoping to find decent places for camping every night, in what it looked to be a very narrow coast and a very populated area. 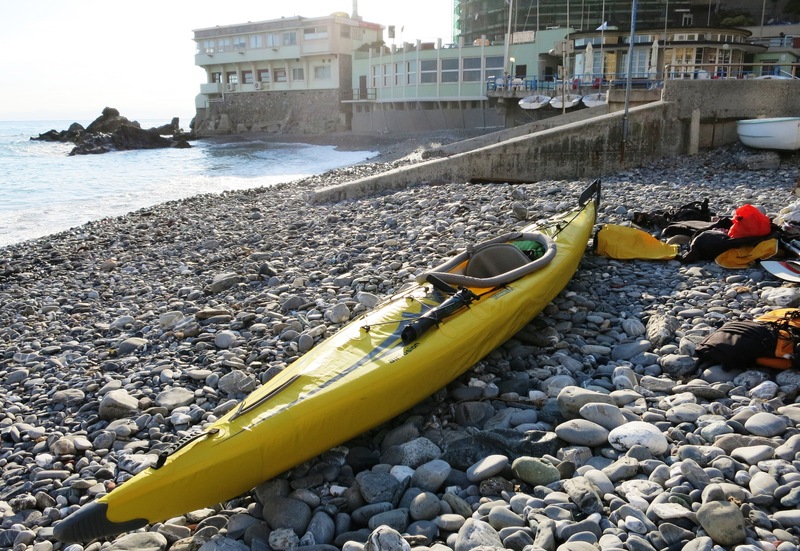 After what ended up been a very long day of travelling I launched my kayak from the little beach of Genoa Quarto south of the city, hoping to avoid major traffic from the port. Launching late on the day my only goal is to spot a conveniente place to put my tent in a “discreet” way. Next day with rain forecasted at noon I decided to have an early start, in what appeared to be a tolerable windy day. Very excited to be in the water after so many months I was truly enjoying the “rought sea” well just for the first hour until the wind picked up enough to let me do less than 4 km/h forcing me to land kamikaze style just 3 km away from my starting point. 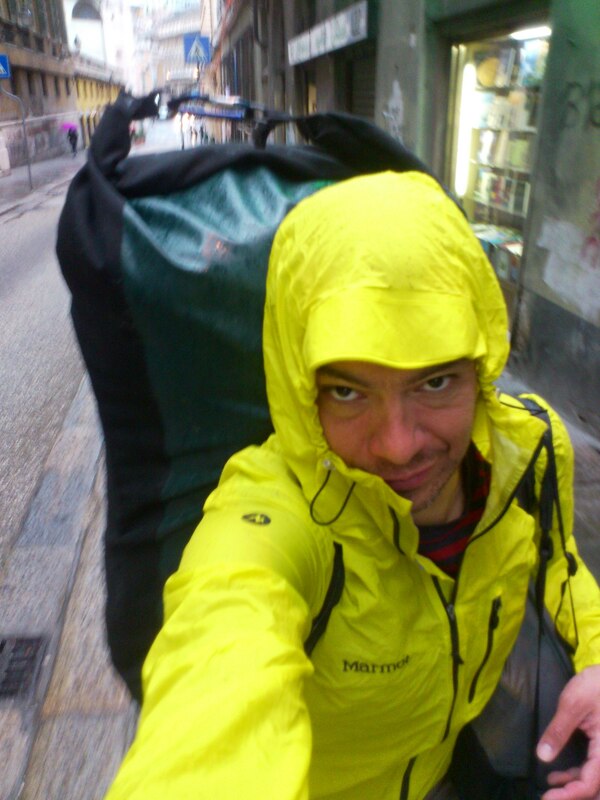 Stuck for the day in the rain, I just wondered around suburban Genoa. Gelato and Pizzeria was on the day menu. Next day after another “incognito” night I enjoyed a fantastic day on the sun, with a nice temperature and a calm sea; paddling was amazing. Grate scenery from the little towns outside of Genoa and the majestic cliffs of The Parco Naturale Regionale di Portofino – rocky spur stretching towards the open sea characterized by overhanging coasts and a very thick network of paths that crosses rural settlements, and sea villages. 17km later I found myself in San Fruttuoso di Camogli an 8th century Benedictine abbey. 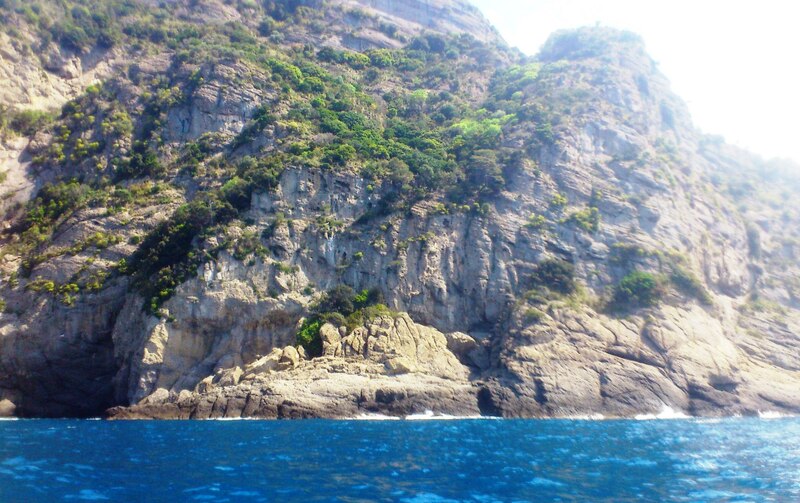 Breathtaking spot embayment on the Portofino cape, home of la Cantina restaurant, serving traditional fish cuisine, amazing lunch break Ligurian style. 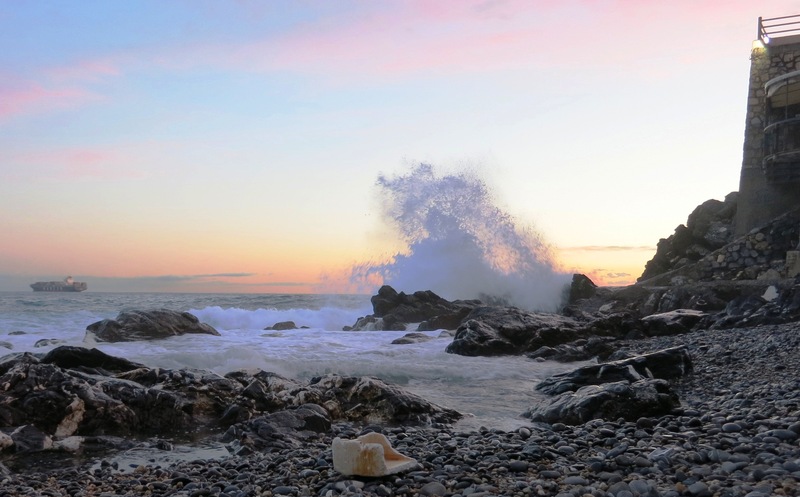 In the afternoon a comfortable 10 kilometer paddle took me to the end of my little escapade to the beach of Paraggi, 4km short walk to the train station of Santa Margherita. With a week of rain forecast starting that afternoon I preferred to pack my kayak and head back to Cham happy enough to have this little Mediterranean adventure. Con respecto al Air fusion elite AE1041 que es el modelo mejorado de mi kayak Air fusion te puedo decir que es una es una excelente opción para hacer kayak en el mar, tanto este como mi kayak comparten unas dimensiones que lo hacen muy interesantes para navegar en condiciones marítimas, corrientes y olas. Estos kayaks son largos y delgados, lo que les da la ventaja de desplazarse rápidamente cortando el oleaje, además de tener la opción de añadir una quilla retráctil “skeg” que va a ayudar muchísimo para la maniobrabilidad. A nivel de capacidad de carga te puedo decir que es posible cargar un equipo ligero de camping y provisiones para un par de días. 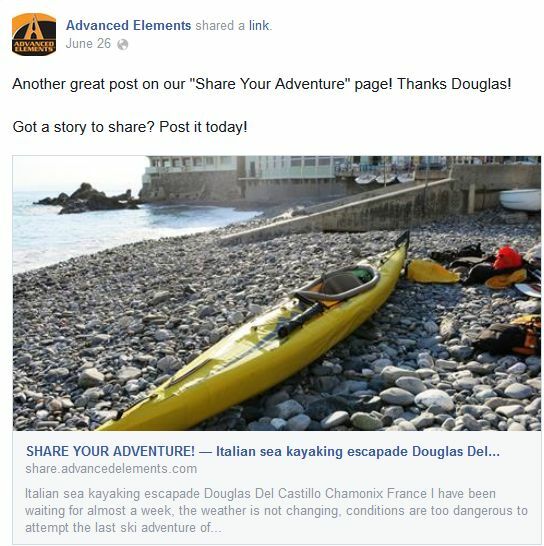 De todos los kayaks de Advanced Elements, este es el que posee mejores características para su uso en el mar, ahora para responderte a tu pregunta, te puedo decir que hay otros modelos más adaptados para la utilización en ríos especialmente si son ríos con corrientes, descensos importantes o lechos rocosos. Yo he usado mi Air fusión en ríos calmados sin ningún problema, ríos con muy pocos desnivel y casi ningún rápido. Espero que esto te ayude para escoger el mejor kayak. ← SEA KAYAKING IN COLOMBIA .